SURFALY is one of the technical platforms of the Institute of Chemistry of Lyon (ICL – Institut de Chimie de Lyon). 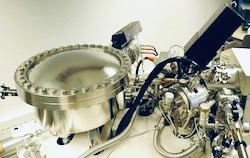 This platforms concerns the chemical analysis of top-surface of materials using specific high performance spectrocopies. At ISA, two equipments of the “Surfaces” group (ToF-SIMS and XPS) received partial funding from ICL and are thus open to collaboration within the ICL network under specific conditions.